Here at PS3 Pad we were massive fans of the first incarnation of Nathan Drake in Uncharted: Drake’s Fortune. 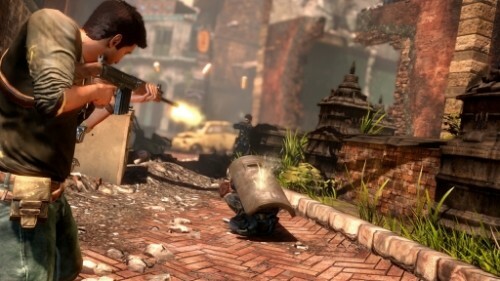 Game developers Naughty Dog have been busy working away on the sequel since late 2008, and we will move away from the gorgeous graphics of the Jungle to some downtown grittiness. The game will feature more of the free movement that was used in Assassins Creed, and as well as a traditional competitive multiplayer there will also be a co-op mode in which up to three players can take the roles of the three main characters.Â Online was a key missing ingredient of the first game, and the co-op mode especially enables a whole new type of gameplay. We are expecting a release date pencilled in for the second week of November. Playstation day – Killzone 2 screens!